At Zaptech solution our experienced content writers will help to make your blog content an interesting one. Blog needs to be feed with regular fresh content otherwise; it will start losing its visitors and will soon lose all its importance. Blogs or weblogs can be of various types such as business blog, corporate blogs or personal blog. Though weblog writing is comparatively new found area of work, our experienced blog writers have attained mastery in it. Our blog writers can write on any subject. We stress on providing accurate details in simple language. Our bloggers do extensive research before feeding content in a blog. 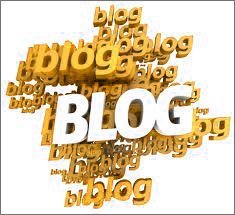 If you want to capitalize the advantages of blog writing, just let us know about your exact requirements. Our professional blog writers are experienced enough to write a blog post that will definitely increase your search engine visibility and will add an extra mile to your online marketing campaign. If a blog can be treated with due care and consideration, it can generate a huge amount of profit through advertising and branding. However, in order to reap the benefit of blogging, traffic needs to be increased at any cost.